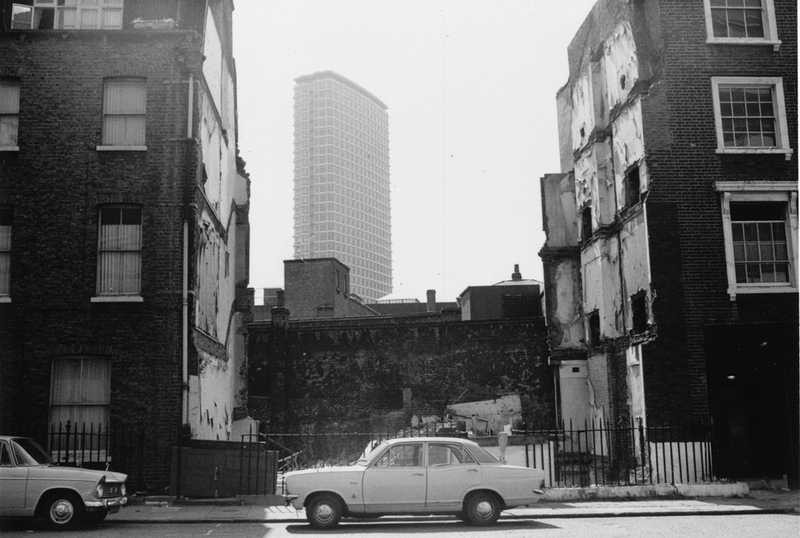 Just to the west of the lower end of Tottenham Court Road only a few buildings in Stephen Street and Gresse Street survived the huge redevelopment of the Gort Estate in the mid-1970s. 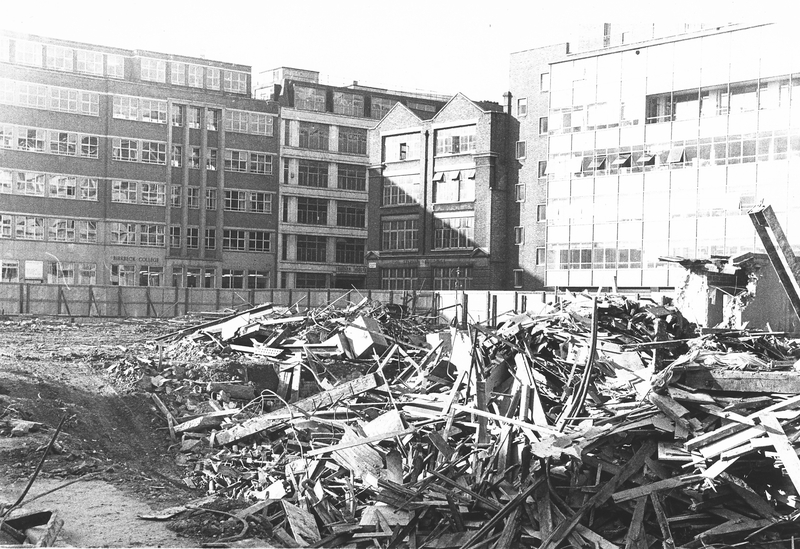 In the foreground on the left hand side of the picture below are the Stephen Buildings, and in the mid-ground on the left is what was the Ofrex building and what today houses the British Film Institute (BFI) in Stephen Street. Stephen Street looking east towards Tottenham Court Road in the early 1970s. The Stephen Buildings are on the left surrounded by railings and are still standing today. On the other side of Stephen Street on the corner were the Gresse Buildings, which were built at the same time and in the same style as the Stephen Buildings. Both buildings would have been built in the early twentieth-century as light industrial units probably for the manufacture of furniture, which Tottenham Court Road had its heyday between 1850 and 1950. 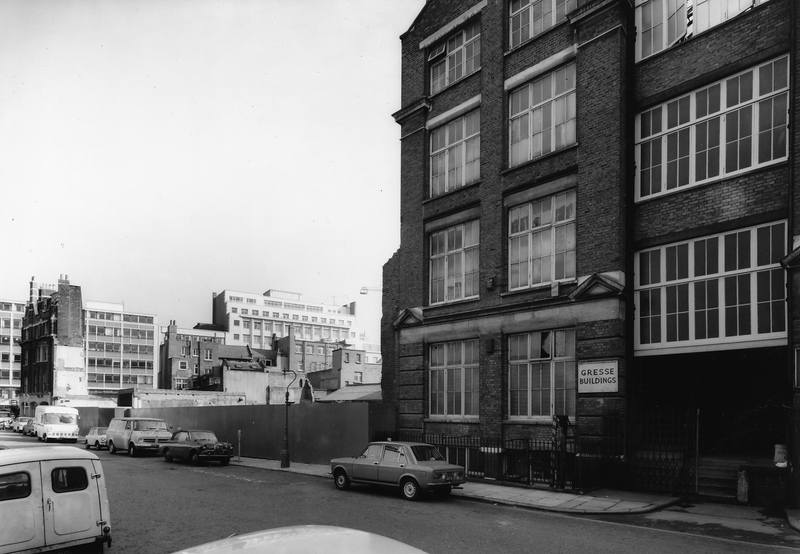 In the mid-1970s permission was given to demolish most of the street to make way for the office complex called Central Cross, and previously referred to as the Freemantle building, but was planned to be the headquarters for EMI. Demolition took place on a piecemeal basis with some of these photographs capturing the changing streetscape as it evolved. Greesse Street. The Gresse Buildings were a “twin” to the Stephen Buildings on the other side of Stephen Street. Stephen Street had homes among the industrial and retail buildings. Gresse Buildings as seen from the western end of Stephen Street looking towards Tottenham Court Road. The tall white building in the middle of the photograph is the Time Out building (now itself demolished) on Tottenham Court Road. View of Stephen Street looking west towards Gresse Street. 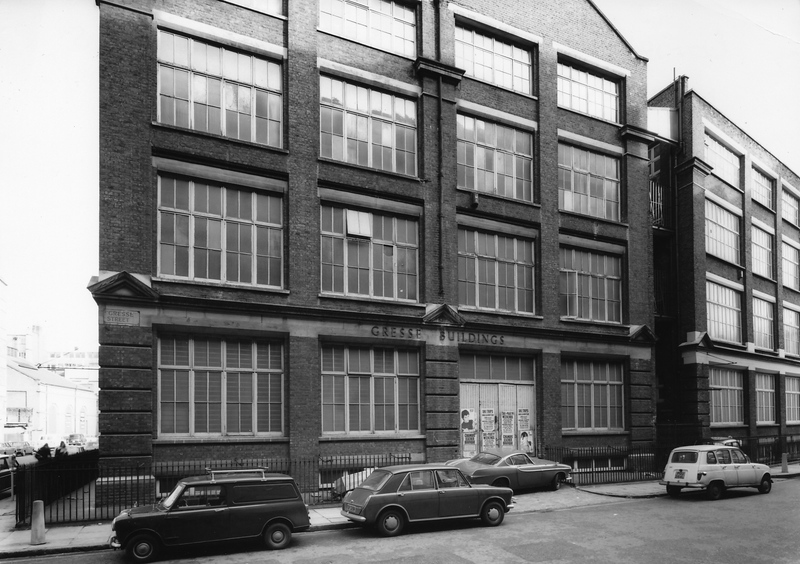 The building in the background is now the Fashion Retail Academy. Rear of Berkeley Gala Cinema as seen from Stephen Street. The UFO club was held below the cinema. 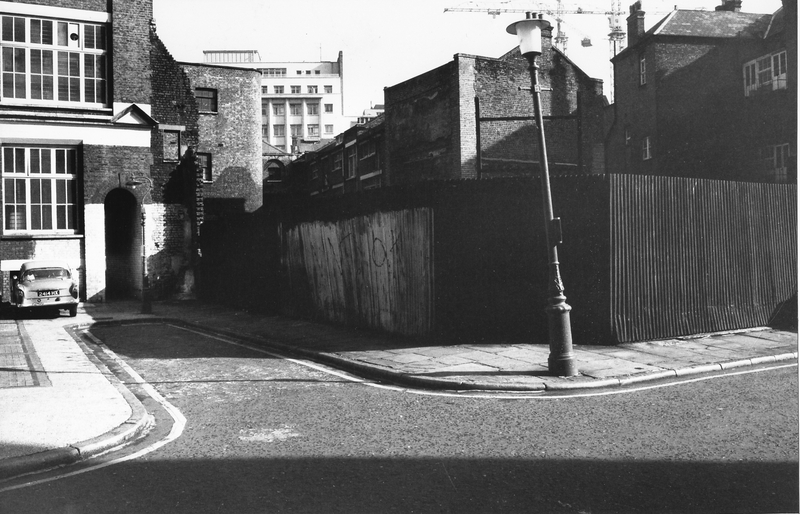 View from Gresse Street looking towards cut-through into the long-demolished Tudor Place. 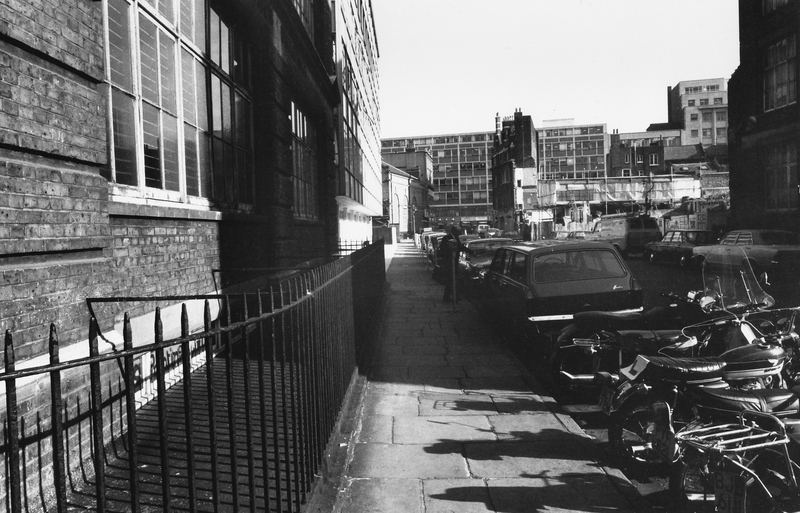 Buildings at the rear of Hanway Place are on the right. Tall white building in the background is the Time Out building on Tottenham Court Road which has recently been demolished. 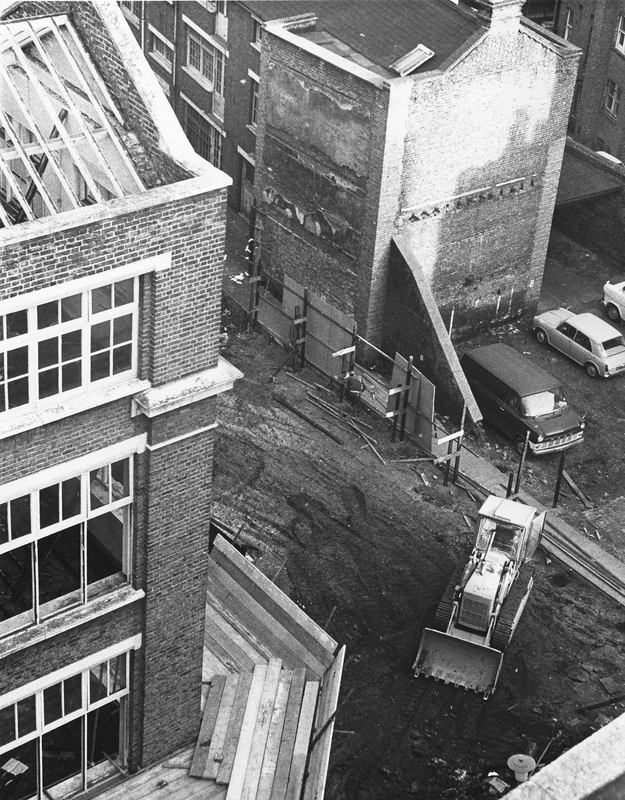 View looking down onto Tudor Place during demolition. The cleared site. All that remained of Tudor Place and the buildings in Gresse Street and Stephen Street. The buildings in the background are still standing today. 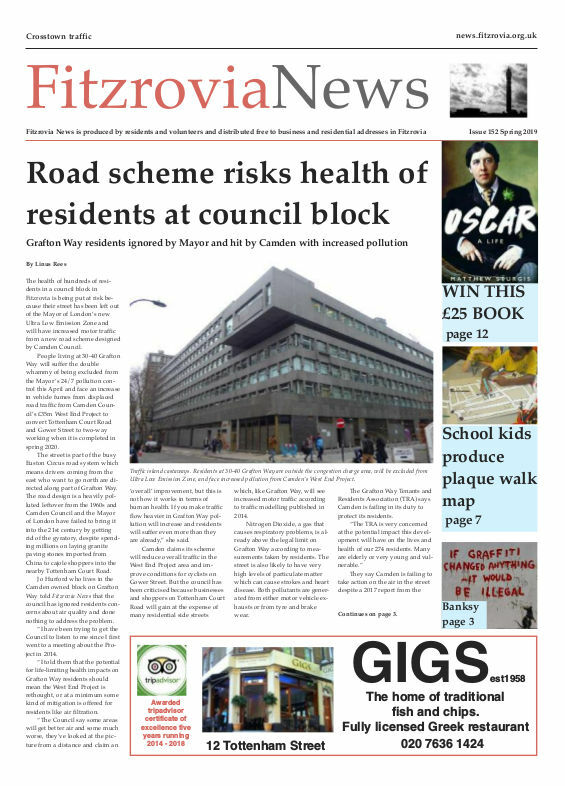 This is the final article in the three-part feature about the demolition of the Gort Estate. See also: Part 1, Tudor Place; part 2, Tottenham Court Road. Photographs taken by persons unknown. Part of the Fitzrovia Archive at the Fitzrovia Neighbourhood Association. 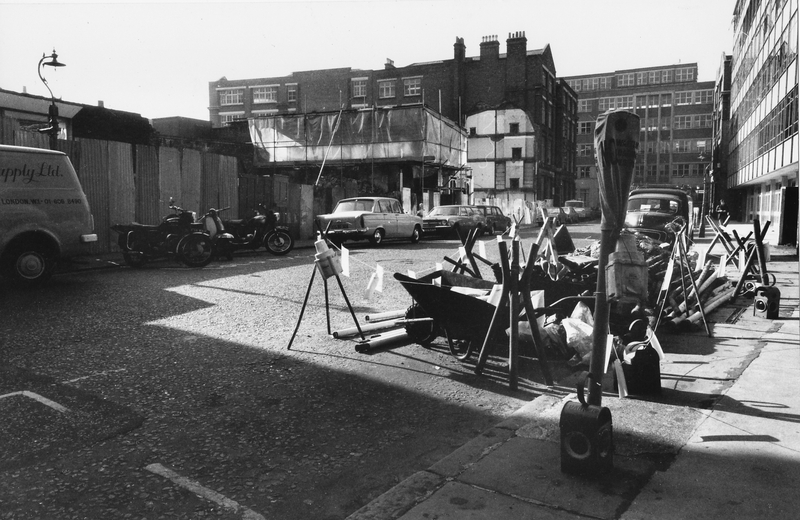 More about the history of Fitzrovia in the forthcoming Fitzrovia Festival.